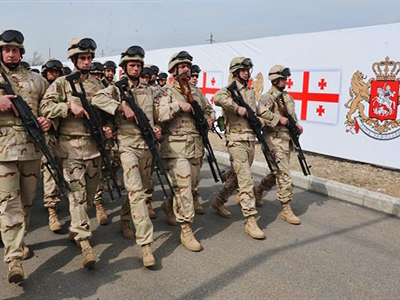 Georgia could be facing the same turmoil as Egypt, according to Georgian opposition leader, Nino Burdzhanadze. ­On Friday, the head of the party Democratic Movement – United Georgia party shared that view with journalists. “We need to do everything to avoid bloodshed in Georgia and to do so that change of power occurs within the political framework,” she added. According to her, dramatic reforms are needed in Georgia, and the current government has long proved unable and unwilling to make them. Democratic freedoms are also a myth in Georgia, and she has no illusions about that, although everything may look fine from outside. Former speaker of the parliament, Burdzhanadze has been a consistent critic of the Saakashvili regime. 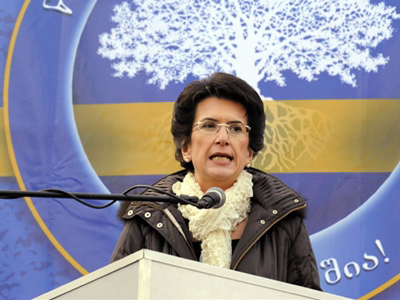 Just in January she asserted that “a social explosion may take place” because Georgians cannot tolerate “injustice” for ever. “The longer the present rulers remain in their posts, the more difficult it will be for new Georgian leaders to get the country out of the crisis,” she said back then. Georgian authorities, however, call such statements groundless. 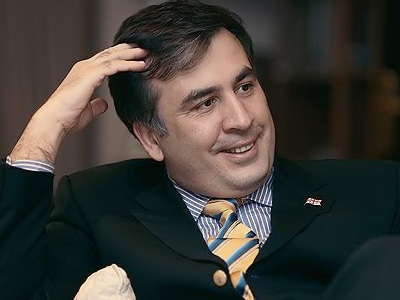 Mikhail Saakashvili has repeatedly said that he intends to stay in power until the end of his term in 2013 despite the opposition’s demands for him to step down. Earlier the parliament’s speaker David Bakradze said that “what is now happening in Egypt occurred in Georgia in November 2003”. 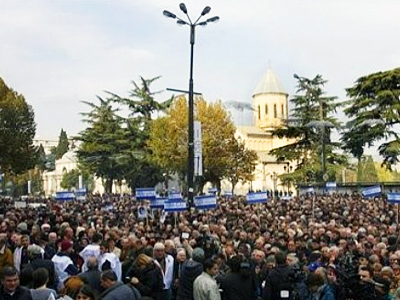 Georgia’s mass protests in 2003 were triggered by opposition claims that parliamentary election was falsified. According to official results, it was won by then-president Eduard Shevardnadze and his allies. Several weeks of disturbances and street clashes in Tbilisi finally forced Shevardnadze to resign. An early presidential election, which was held in January 2004 brought to power the incumbent president Mikhail Saakashvili, who is now serving his second term. 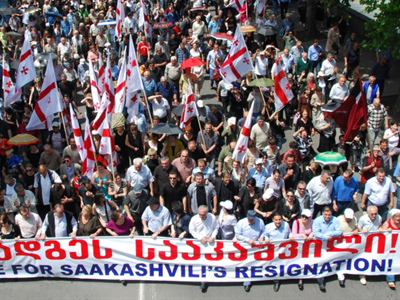 Opposition forces in Georgia criticize Saakashvili for failing to deliver on his promises, both economic and political. He is blamed for increased inflation, unemployment, the fall of GDP and overall economic recession, which Georgia has not been able to overcome even after the end of the global financial crisis. Human rights are another major concern. Back in 2007, for example, just ahead of the presidential election, opposition leader Shalva Natenashvili accussed Mikhail Saakashvili of ordering the political murders of his opponents, namely former prime minister from the Shevardnadze government, Zurab Zhvania, media tycoon Badri Patarkatsishvili, and opposition leader Valery Gelashvili.